Pricing starts at $20 for young children's entrance to Monkey Play Park. Buy a particular attraction or choose a value. When the person receives the gift card we'll make sure they have a once in a lifetime experience. 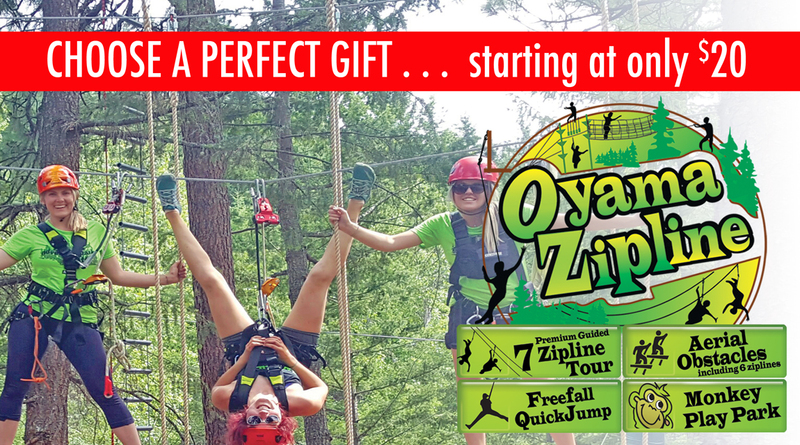 There are lots of good reasons to buy zipline gift certificates for birthdays, Christmas, and other special occasions. Isn't this the most unique gift? Buy Online below or call 1-888-947-2869 to purchase 'your best gift ever' in any denomination you choose!